CabWriter 2.0.0 is nearing its introduction this summer. Beta testers have been busy using it, reporting bugs and helping to define its new capabilities. We thought it time to let non-beta testers in on some of the upcoming features in in CabWriter 2.0.0. CabWriter Software, LLC is officially announcing today that anyone who purchases a CabWriter 1.0.0 license or higher between now and the release of CabWriter 2.0.0, will receive a free upgrade license to the equivalent 2.0.0 license. For example, if you purchase a CabWriter 1.1.0 Home license today you will receive a free upgrade to CabWriter 2.0.0 Home when it is released. Similarly the Pro and CNC licenses. Note: This should not be interpreted that the pricing of CabWriter 2.0.0 licenses will be the same as 1.0.0 equivalents; there may be a price increase when 2.0.0 licenses are announced although no decisions have been made in regards to 2.0.0 pricing as yet. In addition, anyone who purchases a CabWriter 1.0.0 or higher license will be invited into the 2.0.0 beta test program. 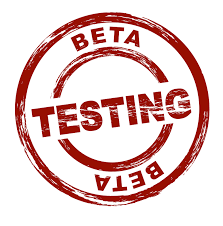 2.0.0 beta testers have access to a fully functional Pro/CNC 2.0.0 license for the duration of the beta testing period; at the end of this period the license will revert to an equivalent 2.0.0 license. For example, a free upgrade to a CabWriter 2.0.0 Home license will be granted to a licensed owner of CabWriter 1.0.0 or higher Home. Many of the new features in the 2.0.0 version are targeted at the professional cabinetmaker, though some benefit Home users as well. Over the next few months we will be posting videos to demonstrate the upcoming new functionality. In this post we are including three such videos: Creating CabWriter Shop Documents Including LayOut – Parts 1 & 2, and Using the Make CabWriter Component Tool. Creating CabWriter Shop Documents Including LayOut – Part 1 shows you how to use CabWriter tools to automatically create plan and elevation views with section cuts. Creating CabWriter Shop Documents Including LayOut – Part 2 shows you how to automatically create a LayOut file with your chosen template and transfer all SketchUp views to LayOut pages and then automatically create hatching for each page in LayOut. Part 2 also shows you how to use the CabWriter Production Documentation command to produce all the reports needed to begin the build process. Lastly, Using the Make CabWriter Component Tool shows you how to create a custom part and use this tool to make it a CabWriter part with CutList Bridge and other attributes so that it can be included in all CabWriter reports. Creating Professional Shop Drawings Using SketchUp LayOut CabWriter 2.0 for Furniture Design? Yup!